Voltage sensor relay for over voltage monitoring - 2 CO contacts - 10 A. 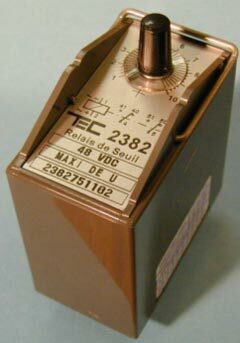 2382 relay is an over voltage monitoring relay. Adjustment is made by potentiometer on front face. Reinforced climatic protection is proposed as an option. For any complementary information regarding mounting and withdrawal, please refer to the technical support pages of this site of contact us.